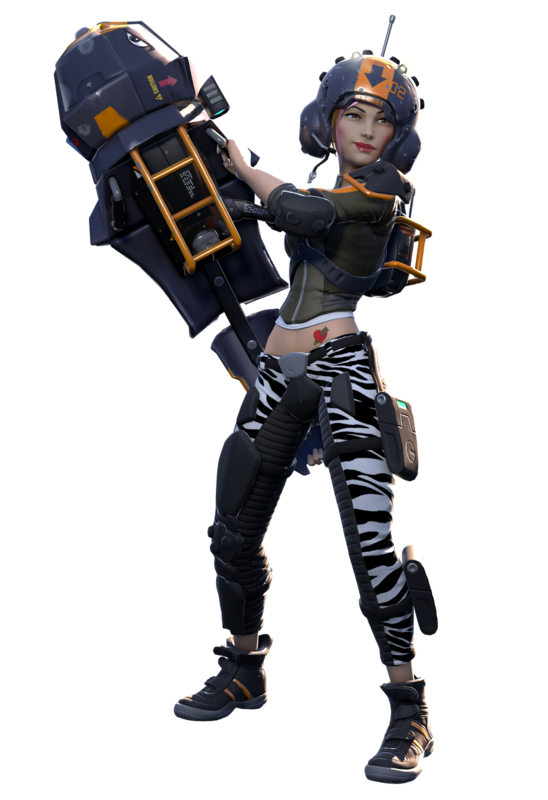 Home / reviews / videogames / Atlas Reactor : Brains over brawn. This is it. Up ahead 4-2, and time to go get that final takedown. I carefully plan my next move as we surround the weakened members of the other team. A well placed Bombard missile should do it here. I am a little low on health myself, but even if I get knocked out we should get the upper hand this round and take the win. Should I dash out right now and wait until next round? My mouse hovers over the choices on screen. My tea is getting cold. The thumping of the timer gets louder and louder, seemingly in sync with my own heartbeat, pressuring me to make a choice soon. I stick to my original plan, choose the missile and throw in a taunt for good measure. But we severely miscalculated the choices of the other team and my target dashes, hurting me on the way out. And we all totally lost sight of their PUP who was maxed out and now blasts us for massive damage. Three takedowns in one blow… final score: 4-5. The words “YOU LOSE” taunt me on the screen. Our hunger for victory cost us the game yet again. I let out a scream of frustration, sigh… take a sip of my tea and load up the next match. This time we can’t lose!! When I first saw the announcement of Atlas Reactor, my first thought, unfairly, was “This is going to get drowned out by Battleborn and Overwatch.” I had not even seen a lick of gameplay yet. The fact that this game was being released by Trion worlds, mostly known for a variety of MMO’s, should have been a dead giveaway that this game would be something entirely different from those games. Even though stylistically there seems to be some similarities, the differences get clear real fast. What it delivers instead of a mundane “me too” copycat FPS is a new unique experience that is easy to learn, hard to master, with many layers of depth and nuances. FirePower: These are your typical damage dealers, high DPS but lower health. Frontline: This is the game’s tank class, big hulking figures that can sustain large amounts of damage but can dish out some pain as well. 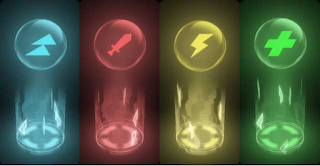 Support: The healers and buffers who can restore health and/or block damage from their teammates with powerful shields. But do not underestimate them, as they can also leave a nasty sting to anyone messing with them. Each role has enough variation between characters that individually feels different enough to allow plenty room to explore and experiment with play style and tactics. Beyond that you can earn mod tokens, which allow you to unlock new skills called ability mods that change the way you play. Each character also comes with a set of catalysts. These are additional skills you can only use once per game that can be the difference between a hit or a miss, win or loss. 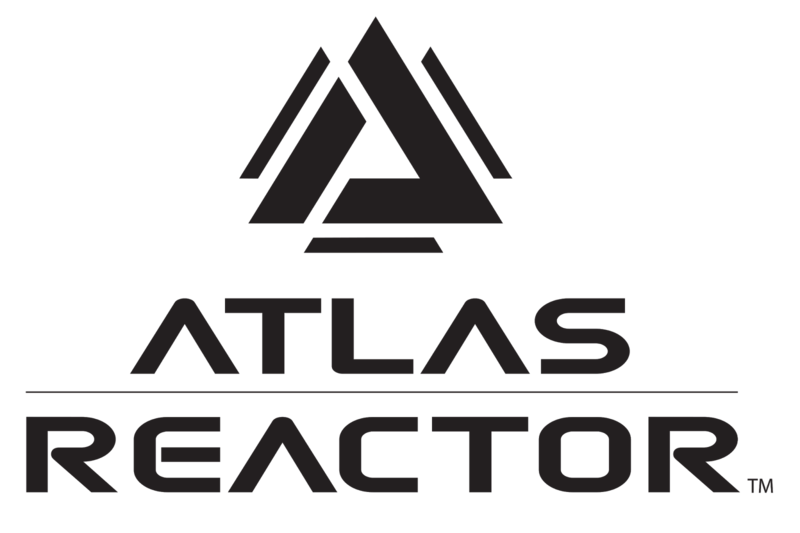 Atlas Reactor offers multiple game modes, from practice arenas that can allow you to experiment with the different abilities of a freelancer to PVE that can be played with friends or friendly AI against enemy AI, as well as PVP and custom matches. In the end though, the gameplay is based on the same premise. Two teams of four players each navigate their way on a stage where the goal is to get 5 kills or the most kills in 20 turns. If teams have equal kills at the end then a sudden death scenario comes into play. The twist in this strategy game is that unlike a game like X-com (or even good old chess), everyone takes their turn at the same time. This means you have to predict the choices of the other team in order to get yourself in the best position possible. Often this is a matter of a lucky guess, but if you communicate well with your team you can force the other team’s hand and press them into making decisions that benefit you all in a time span of 20 seconds. Each turn plays out in a set order. 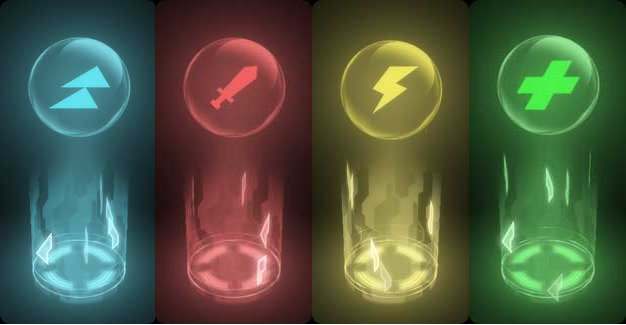 When you make your decision, you can choose from a series of abilities on your selection bar. They each come with different cool down timers, which means you have to decide right from the start which ones you want to use and which ones you want to save for later. Once everyone made their selections, the turn is played out in 4 phases, and they take place in order. Normal attacks and knock back attacks. Repositioning and following. Players can sprint twice as far in turns where they don’t perform an ability. This Rock, Paper, Scissors approach makes informed decisions important from the get-go. As an example, if I am in the line of fire of an enemy and not in good health I can anticipate him shooting me and decide to choose a dash ability to get out of the way. Since dashes take place before the blast phase, the attack would miss me and I will live to fight another day. However as mentioned, this is a team game. One of his teammates might anticipate me dashing out of the way, and so he may place a trap in the direction I will most likely move. This trap is played out in the prep phase, so when the dash phase comes into play the trap is already there and I would die from its damage, although the blast would still miss. By the same token, I could have a team mate that can heal me during prep, so I might decide NOT to move during this phase because prep take place first and now, being healed, the blast won’t kill me, allowing me to shoot back and perhaps take out my opponent - meanwhile the trap that was set does not get activated at all. The possibilities are sometimes endless and other times inevitable. 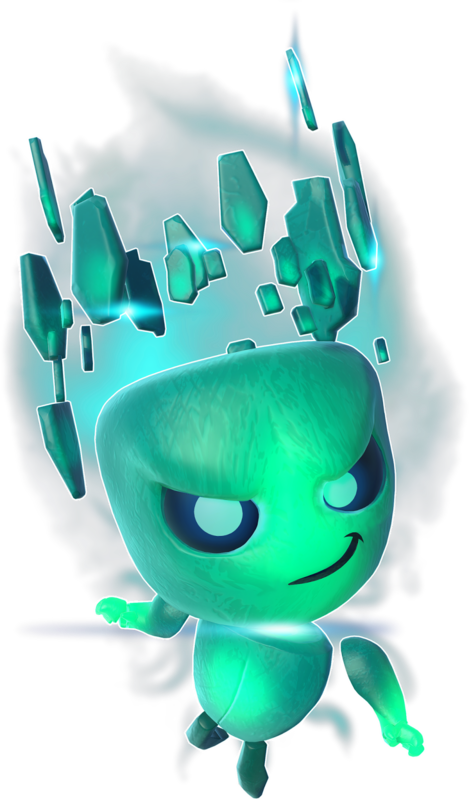 As you work your way through your turns, you charge up energy for an ultimate ability which can do massive damage or heal etc. In most cases you can decide when to use this powerful move, attempting to position yourself in best position for maximum effect. This adds yet another strategic layer to the gameplay. Decision time can be stressful! The final phase is the move phase. You can decide to stay in your old spot, but often it behooves you to move out of the way and choose a more tactical position. If you did not use any abilities, other than free abilities, during your turn, you get a move bonus allowing you to travel further. This can be a valid tactic to get out of harm’s way or sneak around behind enemy lines. It is also a time where you can try to pick up power-ups that spawn on the map, such as heals and damage multipliers to give you the edge next turn. Because you can see the cool down timers of the other players as well as their ultimate status, the game has an added bluffing mechanic that you can use for some psychological warfare, in order to keep them guessing. You can move in such a way that your opponents might believe you are getting ready for that nice special attack you have been sitting on for a bit now, and move into the clutches of your teammate. A well placed area of effect can force them to use up their dash just in time for your teammate to get their ultimate attack ready, with no escape this time. If you get taken down, you will have to wait two rounds before you can respawn. Your cool down timers do not reset, neither do any catalysts you have already used. Sometimes sacrificing yourself can be beneficial when you look at the bigger picture in achieving total victory, but you do not want to fall too far behind, especially as you are running out of turns rather fast. way, but when the sun goes down and full teams come in that communicate well with each other, you might be in for a tough time. So make friends quickly with those you played with before, or better yet introduce your real life friends and family to the game and get them to group up with you. In the Beta and the early stages of Atlas Reactor's release, the community has been very supportive. Yes, there are the occasional “elites” who love to assert their superiority at times, but the true great leaders in the community communicate and teach, making others better players. 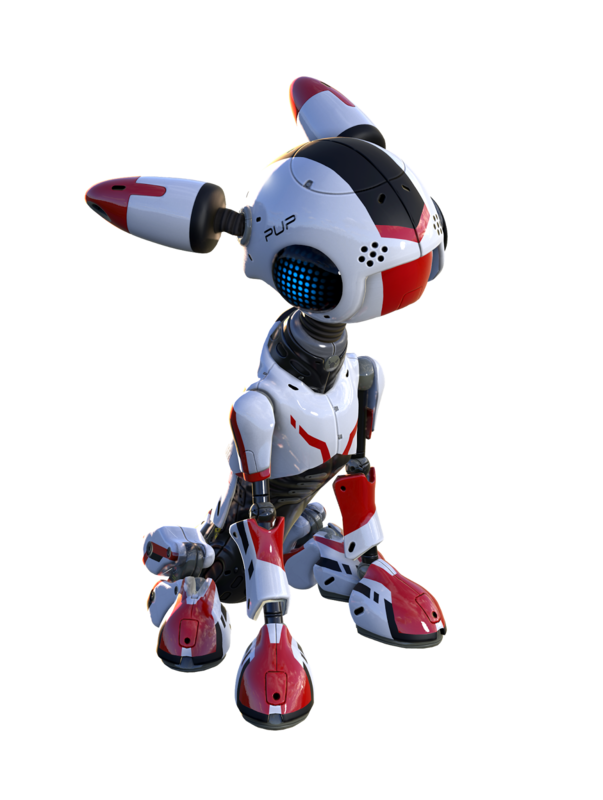 The game offers in-game chat with adult content filters, as well as full integration with Discord for voice communication. You will see that a little talking with and supporting your team mates will make you all much better players. I mentioned earlier that the game is loaded with content to keep you busy for quite some time, from 21 different freelancers* with their different variations, a series of unlockable taunts, skins, backgrounds, emoji's, etc. The game could do with a few more maps (there currently are four of them), but the game was just released and I am confident we will see some add-on content in that area soon enough. Until then, each match on the same map will play out differently based on decisions made in that game. The game has seasons which offer you challenges to complete while playing the game such as “participate in 100 takedowns” or “level 5 different freelancers to level 5,” giving you XP and making you change up how you play the game. There are daily missions and challenge missions. 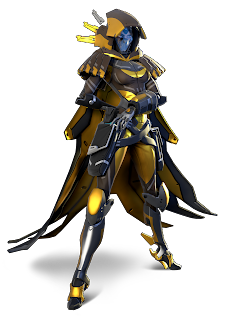 * Update: During their twitch broadcast Trion announced that a new character will be introduced on October 7, 2016, and more will follow in the coming weeks. Trion has chosen to make the game Buy to Play instead of the Free to Play model which is my personal preferred way of playing a game, but for those trying to decide who gets their hard earned money, the game still offers a free way to play the game if you want to see what this game is all about. In the free option, you are limited to using only freelancers opened on a weekly rotation, and you are limited in how many prize caches you can open in any given time. But you still earn XP, unlock skins, titles, taunts etc. By buying the game, you remove all restrictions and also get access to all Freelancers for life, as well as enabling customs games and allowing entry in future tournaments. The game is on sale for $26.99 until October 11, after which it will go back up to the regular price of $29.99. Trion also offers a Pro edition and an Ultimate Reactor edition which come with special skins and more unlocks by default. The game is rated T for Teen by the ESRB for violence. There is no bad language or gore/blood. All characters respawn/come back to life and the whole presentation has a cartoon-comical vibe, good for a laugh or two. The freelancer choice is varied plenty between genders, body type, etc. and I think it is important to note that the outfits are seemingly more practical than in some games, and not overly sexualized. Be aware that the game is online and even though the community seems well behaved and I am certain that Trion will moderate to the best of their ability, it is important to keep an eye on who your child communicates with online at any time - as a geek parent you are probably already on top of this. Atlas Reactor offers a lower paced but certainly not lower intensity experience than the average team/class based shooters that dominate the online space. Engaging and stimulating, you cannot shut off your brain and do well, full engagement is certainly needed. Nothing wrong with stimulating the old grey mass. 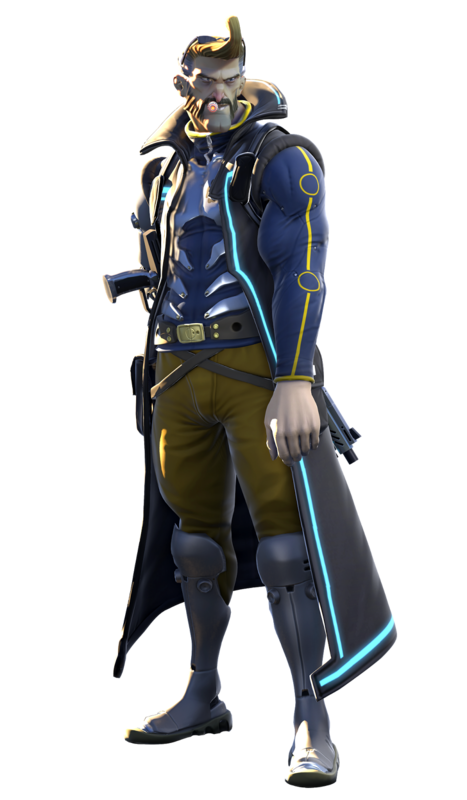 Now that the AAA season has started its barrage of recurring hit titles, I would strongly recommend you take a moment this fall\winter to look past all the flash and hype and give Atlas Reactor a real look. 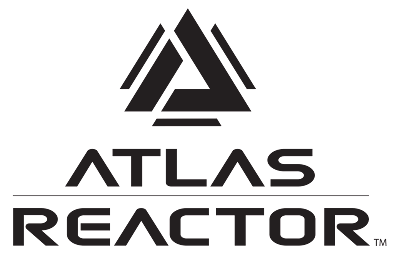 In a time where people often complain about originality and with the same games being shoved in our faces year after year, Trion has brought a new experience to the table with Atlas Reactor. A game simple enough to entertain casual players as well offering enormous depth, making it perfectly suited for a competitive setting. It is even a blast to watch the game while it is being played by others. It is a game that deserves to be taken seriously and given a real chance. With a risk free trial option to boot, there is no need to not give this a try. Edit: Since the posting of this review Atlas Reactor has gone Free to Play. So what is keeping you from checking it out?